ĐỒNG NAI — A mass grave containing remains of some 150 Vietnamese martyrs in the American War was discovered on Thursday in the southern province of Đồng Nai. The Steering Committee on Search, Collection and Excavation of Martyrs’ Remains, also known as Steering Committee 1237, announced it had found the mass grave at about 10am after several days of digging at a site at the Biên Hòa airport. 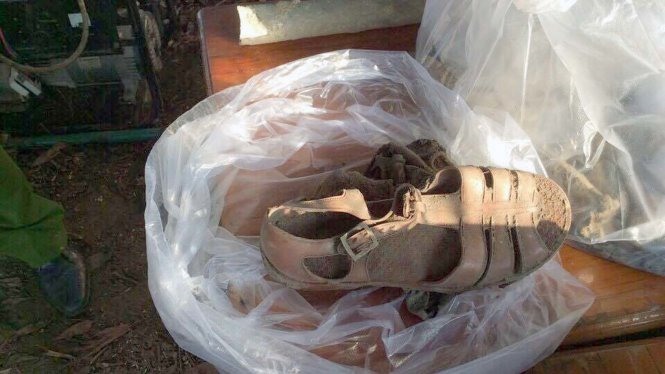 Sandals belonging to the soldiers and a couple of human skeletons have, so far, been found at the grave. The authorities estimated that remains of 150 humans are buried in the mass grave. The mass grave was excavated following directions of two American veterans who witnessed the burial during the war.